Click here to find out all the coming events and happening here! 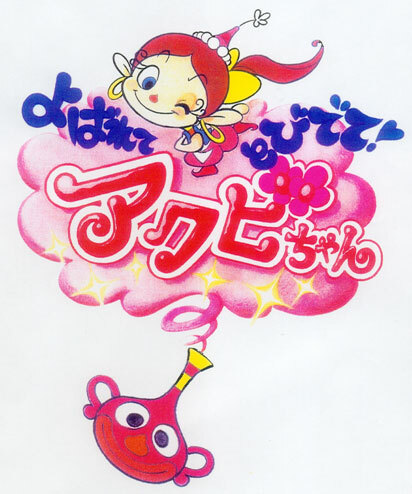 Akubi-chan is a girl around 4 to 6 years old, and she is a cheerful tiny tot witch. Her master is a girl named Koron-chan who is in the fifth grade of an elementary school. Once Koron-chan yawns, Akubi-chan is called away from a jar to serve her. If other people yawn around the jar, she is called away similarly. However, Akubi-chan always makes mistakes since she is still young. So Akubi-chan is taken care by her master, Koron-chan, although she is supposed to serve her. However, Akubi-chan always takes things positive, and she is cheerful any time. She always provides everyone with powers and energy. Therefore, Akubi-chan is the source of everybody's vigor. © Tatsunoko Pro, Kids Station, AP. Licensed by Animation Int'l Ltd. Copyright © 2006 Animation International Ltd. All rights reserved.